Starting it out downtempo before dropping into some hip hop for this week. Managed to fit in another short Gang Starr set and a 2-track beer set. I don’t know what it is, but I seem to be on a drinking rap tip of late. Must be the warm, bbq weather. UPDATE: Now with working stream/download link! Mixed bag tonight as we kick off with some recent electronic goodness before winding it down at the end with some reggae. Summer doesn’t get better than this. Mostly hip hop this week with a downtempo and reggae intro. I just saw Beats, Rhymes, and Life: The Travels of A Tribe Called Quest so I had to hit you up with a double dose of Tribe. For fans of hip hop and of the group specifically, I highly recommend the movie. It was interesting to see the parallels between this movie and the Fishbone documentary (Also highly recommended, but also a bit depressing) I saw a few months back. Both groups seemed to suffer from similar dynamics at times. Then a triple dose of 3rd Base just ‘cuz, and a triple dose of Common, who was just in town and lit Flame Central with a ridiculously good live show. Colour me impressed. The rapper/actor’s been in town for a few months filming the first season of a new AMC series called Hell On Wheels and has been spotted around town doing his thing. During the show he dropped what will likely be remembered (by me, atleast) as the best Calgary-based freestyle by a big out-of-town rapper ever: Dropping local knowledge, he referenced 17th Ave, the Flames and Iginla, and then went deep for referrences to the Bow and Gratitude Cafe, among others. If you missed the concert, this show won’t even begin to hint at what you missed, but here it is anyways. Started it out this week by paying my respects to Amy Winehouse . Tragic yes, and all too predictable. 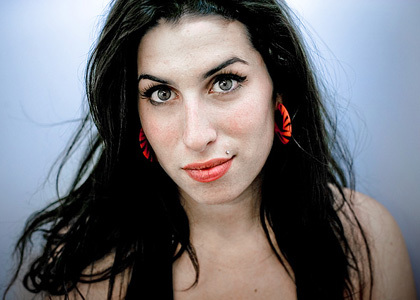 Still, Amy Winehouse managed to get quite a few parties started for me as a DJ, and if her fame helped widen the awareness for less well-known contemporaries such as Sharon Jones, then that too is something positive to draw from this. Winehouse first caught my ear via In My Bed, and mostly because it jacks the same beat as Nas’ Made You Look . Her first album Frank, though hinting at the sounds of retro-soul, had more of an R&B feel to it but once she hooked up with Mark Ronson (who brought along the Dap-Kings and their might horns) for her sophomore effort Back To Black, things really took off – and subsequently also started to spiral down. We follow up the quick retrospective with some nice mellow beats and breaks before rolling through some hip hop and speeding it up for the last movement with some disco and funky breaks.